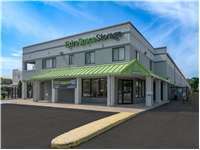 Extra Space Storage on Jericho Tpke in East Northport is accessible to Long Island residents near Elwood and Commack. You'll recognize our location just east of Bed, Bath & Beyond across from Huntington Square Mall Shopping Center. Our location is also convenient for anyone coming from Northern State Pkwy or Sunken Meadow Pkwy. With extensive security measures, a wide range of storage unit sizes, climate-controlled storage, and RV parking, we can handle almost any residential and commercial storage need! When you store at Extra Space Storage, you can rest easy knowing your items are safe. We take pride in our extensive security measures, including video surveillance throughout the property, individually-alarmed units, electronic gate access for secure entry, and security access to your floor only. We also have an on-site resident manager who lives at our facility for added security and peace of mind! We have a variety of storage unit sizes to fit your self storage needs. You can also find units with climate control, indoor access, drive-up access, and elevator access. Worried about storing temperature-sensitive items in self storage? Extra Space Storage offers climate-controlled units, which maintain storage environments between 55 and 80 degrees. This protects your items from extreme heat and cold. If you need to store a recreational vehicle, Extra Space Storage in East Northport offers 9x24 outdoor parking spaces for RVs. And because we're conveniently located between Northern State Pkwy and Sunken Meadow Pkwy, it's easy to pick up and drop off your RV at our facility! Not only can you find storage units for around $50 a month at our East Northport location, but you can also take advantage of Extra Space Storage's great specials, such as first month free and first month half off! When you rent with Extra Space Storage in East Northport, NY, you'll get customer service that goes above and beyond to ensure you have an excellent self storage experience. Our facility is clean, well-maintained, and secure, and our friendly, professional staff is available to help you with anything you need. Check out our reviews, and see what our customers have to say about the level of service they receive! The staff is friendly and knowledgeable and very helpful in figuring out the right size space. The hours of access to the storage is very good I like that it’s open from 6 AM to 10 PM and it’s a very secure facility. Would definitely recommend to others. great experience...great price....great hours.....cant say a bad thing about it....thanks! Extra Space Storage is clean, convenient, easy to use, accessible at all ours. Personnel are kind, professional, and communicative. I would highly recommend their services to anyone looking to rent storage. If you are looking for a storage facility this is by far the best experience we have found. The staff is friendly, helpful and go out of their way to make it an easy process. The facility is clean, well lite and you know that your belonging are in a safe place! The staff members were helpful and informative. The process was quick and easy. My unit is the perfect size for my needs. Access is also quick and easy. Compared pricing, saved money with Extra Space Storage! After shopping around, I found extra space to be the most vallue for my buck! And the staff has been extremely helpful. Great experience explained well clean and we'll equipped carts made moving big items easier. Customer svc was great and very professional. I would recommend them. Clean, neat, secure, professional and best pricing I have ever experienced. The one-time free use of the moving truck was a wonderful surprise and much appreciated and a cost-saving. I appreciated the speed with which the whole process took. The representatives were great! Needing a space when I had plenty of space and not knowing much about space rental I visited my local location. Steve asked and listened to my needs and told me what i needed and if he didn't have it, he could suggest a few other choices. Theft of my home space of my tools and other valuable business engraving tools caused a need to make a decision. Replacement tools and other inventory needed a space away from my once secure home space that was no longer trusted. A temporary need, month to month until I have the opportunity to move to another nearby state made this decision the best one for me at a time when stress needed to be reduced. Never in my imagination would I ever have guessed how I would come to be relieved by the security my rental space is giving me. I had a quick stop to make on my way to work to pick up a belonging of mine needed for an art show and because of the easy accessibility and open-hours before the office even was open, I was able to pick up my things in a timely manner. I chose to use ExtraSpace storage to store my furniture that had been moved from Manhattan. The day of my move was very stressful and required much coordination between movers, truck driver, and city traffic. By the time I reached Extra Space I was drained. The store manager at the East Northport location was very accommodating, flexible, and understanding. Although we were late, he took time to make sure that we understood the facility so we could unpack. He was flexible and allowed us to use the facility truck when we were unable to fit our couch in the space. Even though we arrived just before closing he was patient and made us feel comfortable. Overall the move was difficult, but without the flexibility and service provided by the store manager the move would have been impossible. I would highly recommend this facility. The staff is great and is very helpful, the place is very comfortable, safe and convienient. Would have liked the AC'd units to be on the first floor level. The security of this facility is great, it give me peace of mind and cofidence that my items are very secure. The place was fantastic and the staff was superb and were always very helpful. The facility is laid out very well. Up keep is very well done. Going into the facility you feel safe and comfortable. I like this facility very much do to it's security, cleanliness and location. It's very easy to navigate and has all the tools necessary to unload and load your storage. Drive south on Larkfield Rd. Pass The Home Depot and Walgreens and turn Right onto Jericho Turnpike. Our facility is on your right, directly across from Huntington Square. Drive north on Commack Rd. Turn left onto Daly Rd. Continue straight onto Larkfield Rd. Turn left onto Jericho Turnpike. Our facility is on your right, directly across from Huntington Square. Drive west on Jericho Turnpike. Pass Mayfair Shopping Center and continue straight on Jericho Turnpike. Our facility is on your right, beyond Larkfield Rd. Drive east on Jericho Turnpike. Turn left onto Verleye Ave. Turn right onto Colonial St. Turn onto Larkfield Rd. As you approach The Vitamin Shoppe, turn right onto Jericho Turnpike. Our facility is on your right, directly across from Huntington Square.